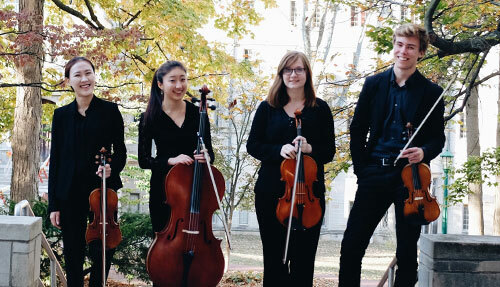 The Onyx Quartet formed at the Cleveland Institute of Music (CIM) in 2015. 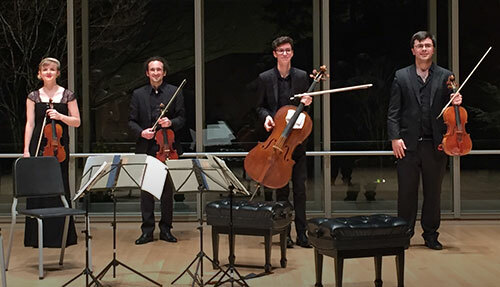 The ensemble is part of CIM’s Intensive Quartet Seminar and has studied with nationally-recognized groups such as the Jupiter Quartet and the Cavani Quartet. The Von Quartet is comprised of musicians from across the globe – Iceland, South Korea, Canada, and the United States. Formed in the fall of 2014, the ensemble is this year’s quartet-in- residence at the University of Indiana Jacobs School of Music, where they are all pursuing their undergraduate degrees. 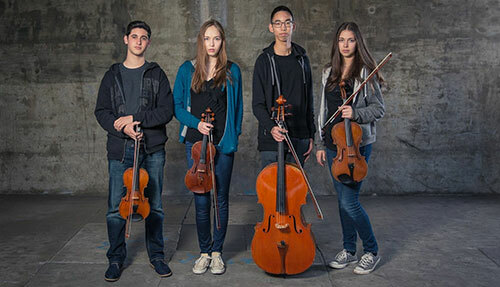 Formed at the beginning of September 2015, the Chimera Quartet is made up of students from The Colburn School in Los Angeles. 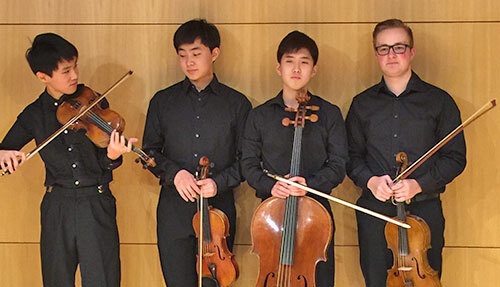 The ensemble currently serves as the Honors Quartet in Colburn’s Ed and Mari Edelman Chamber Music Program. The New York-based Noctis Quartet – its name taken from the Latin word for “night” – was first formed in September of 2015 out of a mutual love for chamber music. Working together largely after the sun sets, the ensemble spends their evenings performing together.